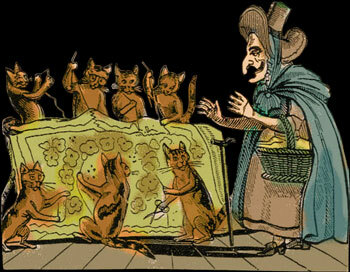 This charming fellow is just so much fun to be around. 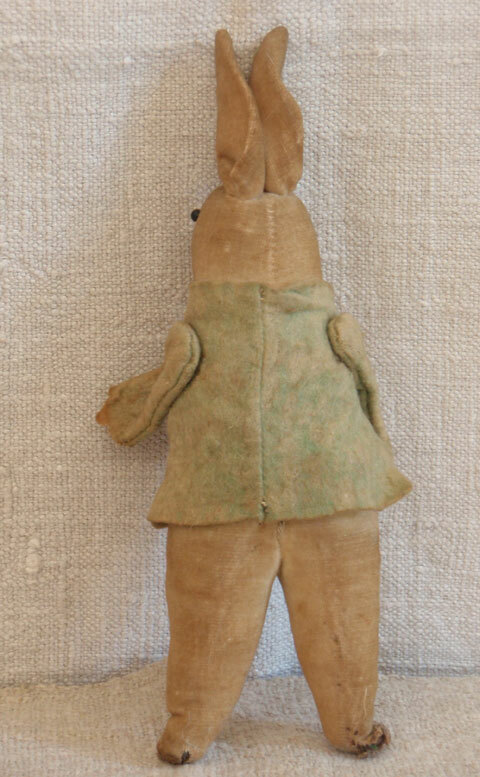 Standing 8 inches tall and 2 ½ inches at his broadest, he is fashioned out of tan velvet and stuffed with cotton batting. 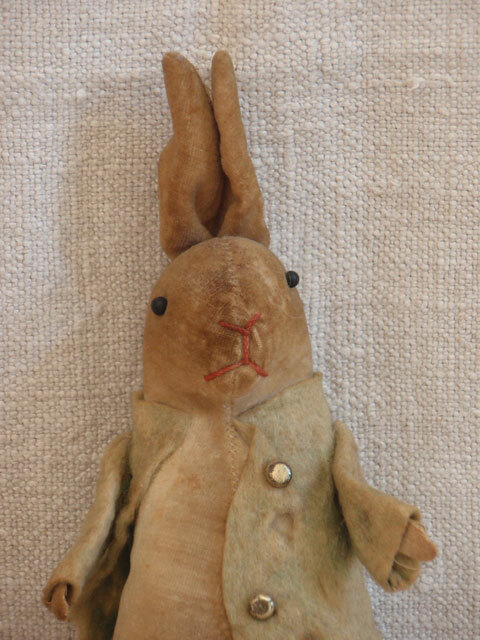 He still wears his frock coat with original brass buttons. He is in overall very good condition with some signs of wear attendant with age and use. 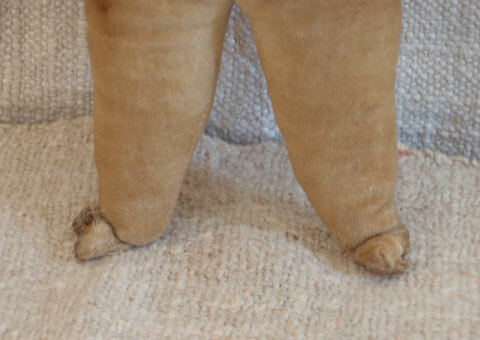 This shows a bit in his feet, especially the right one, which has a small hole in it. (see photos). He has a squeaker in his belly, but that no longer works. His cotton floss nose and mouth give his face a bit of a smirk. 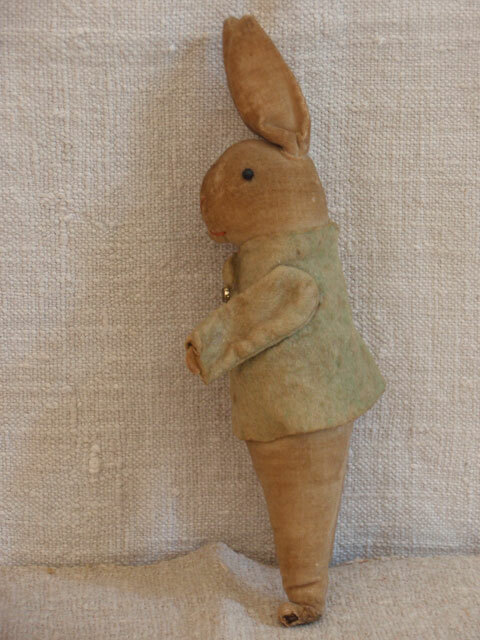 One usually finds mohair and plush dressed rabbits. 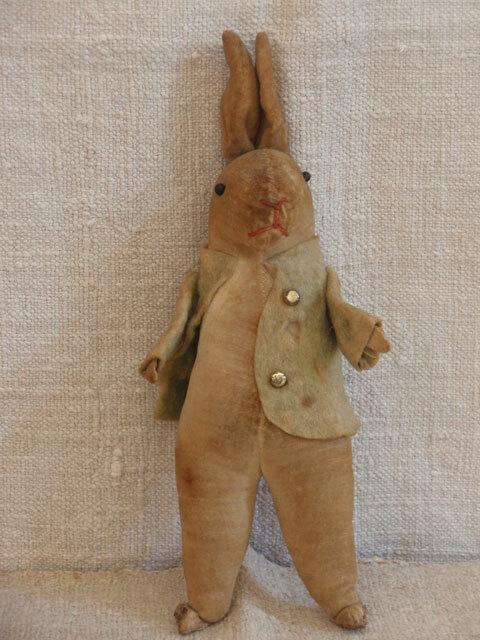 It is extremely rare to find a velvet dressed rabbit. 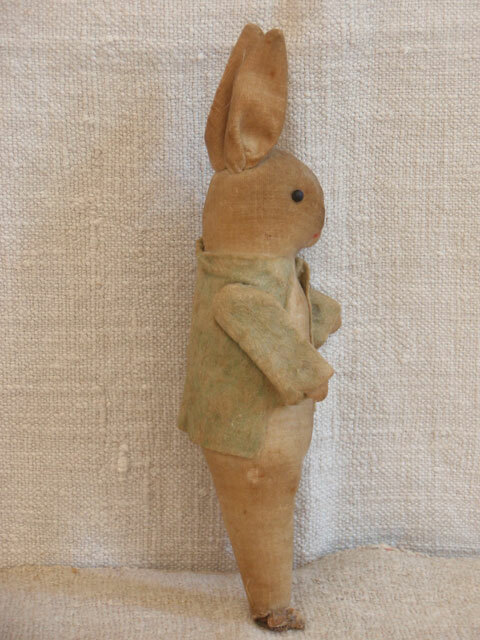 A bit of a “dandy” rabbit, this wild and whimsical fellow is just waiting to brighten your day!